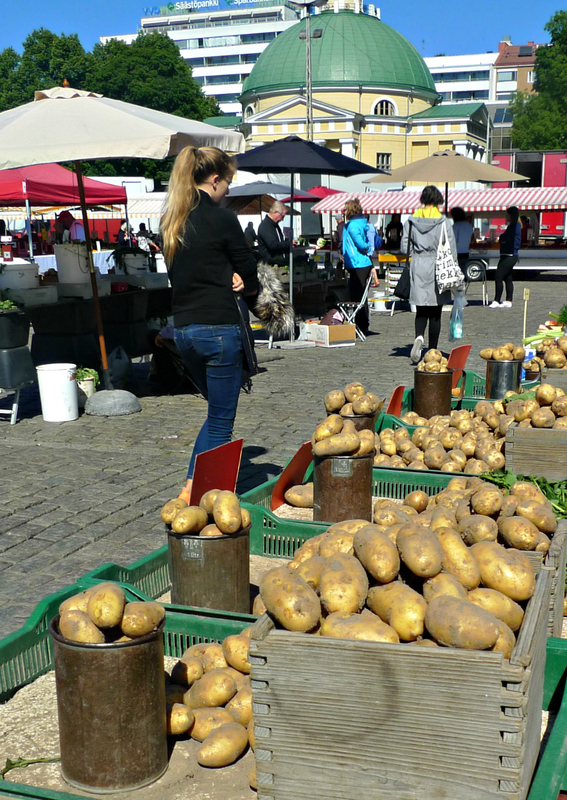 New potatoes are a big thing in Finland. It’s usually around the end of May that the first ones from Sweden arrive in the supermarkets. You’ll have to wait till June for the Finnish ones. After eating old ones, which tend to get more and more tasteless and floury in consistency plus ugly with all sorts of blemishes and dark spots, all through the winter, the first small, fresh, new ones look and taste out of this world. 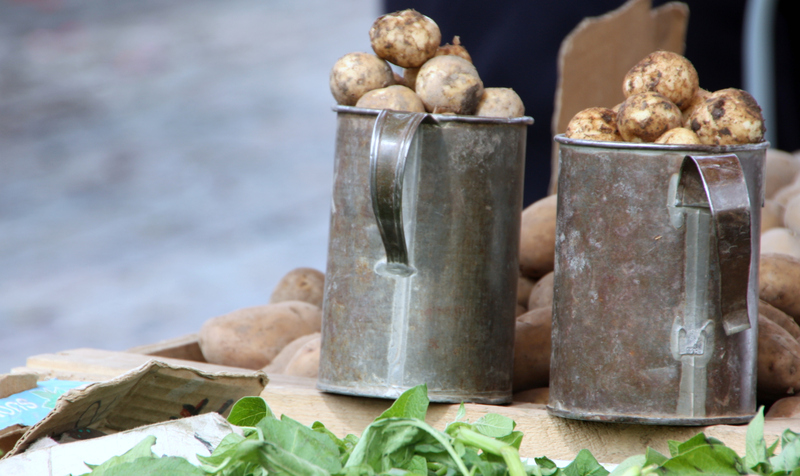 The best place to get them is, of course, the market place where you often find local farmers selling their produce. Mind you, you can also get very decent new potatoes in most supermarkets. Don’t you just love the old-fashioned measuring tins at Finnish market places? 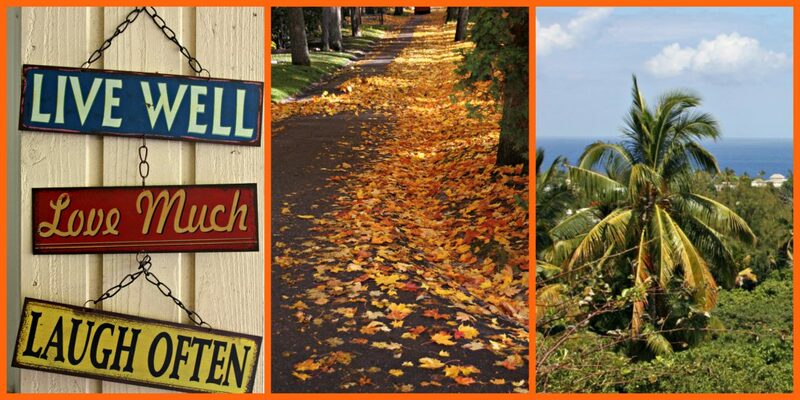 The simple way is the best to enjoy these delights. Just boil them, and then savour them with some fresh dill and a knob of butter. In terms of food, there is not much that can beat that in summer! It’s curious with the Finnish tradition to use dill. My late English mother-in-law found it very strange at first, as over there mint is the go-to herb with potatoes, but she got to like it in the end. And I, in turn, learned to appreciate potatoes with mint. A forkful of summer goodness! 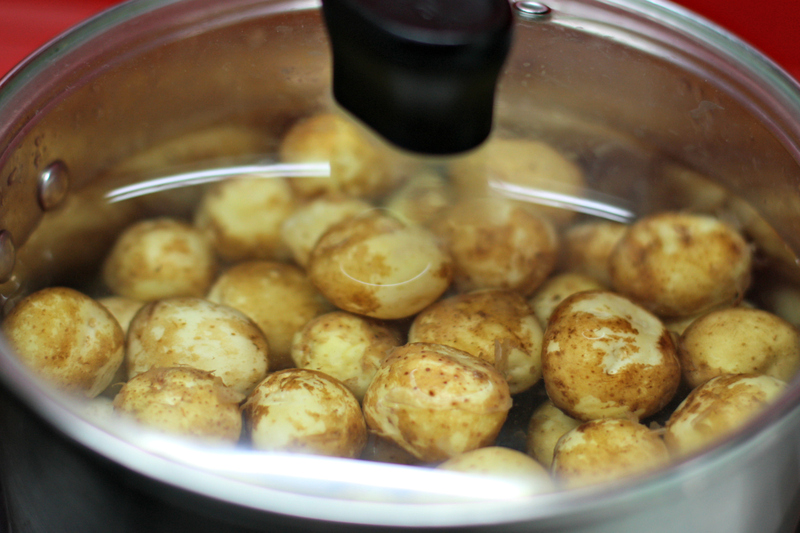 Whenever I prepare new potatoes, I always get a double amount at least, as they will soon be eaten as cold snacks during the day. Hot or cold, they are good with anything – other summer vegetables, fish, grilled meat, in soup, you name it! Here is a family favourite summer recipe of a mustardy new potato salad that I prepare several times every summer, to accompany grilled sausages, for example. The most common potato salad with grilled food is one with small cubes of potatoes, with gherkins and onions and a thick mayonnaise dressing. This recipe brings you some change to the ordinary summer fare. While the potatoes boil, prepare the dressing. Toast the mustard seeds on a clean, dry frying pan. Let them cool down. 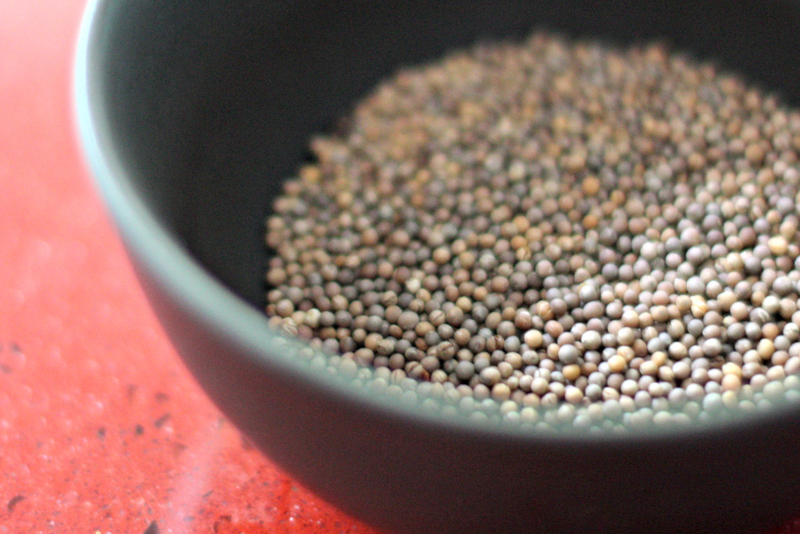 In a bowl, mix the toasted mustard seeds, mustard, lemon juice, salt, sugar and black pepper. Gradually stir in the oil to get an even consistency. Cut lots of chives on top. If there are any left-overs, keep in the fridge, and it will taste just as good the next day! ENJOY WITH YOUR CHOICE OF GRILLED TREATS! 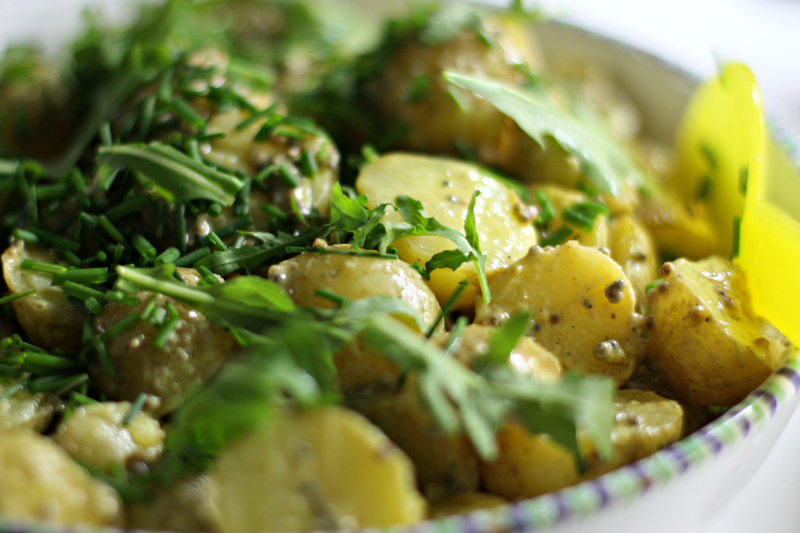 Categories: Recipes | Tags: potatoes, recipes, salad, summer | Permalink. New potatoes are so delicious. I like cold potato salad. My family recipe is close to your ingredients. Hi Laura, I like so much, too. Interesting that your family recipe resembles mine. I much prefer this to the mayonnaise-based versions! Do you know that I just love the Finnish potatoes, they taste so mch nicer than ours. I always eat too many when I’m here as they have such a delicious ‘earthy’ taste, similar to our Jersey potatoes! 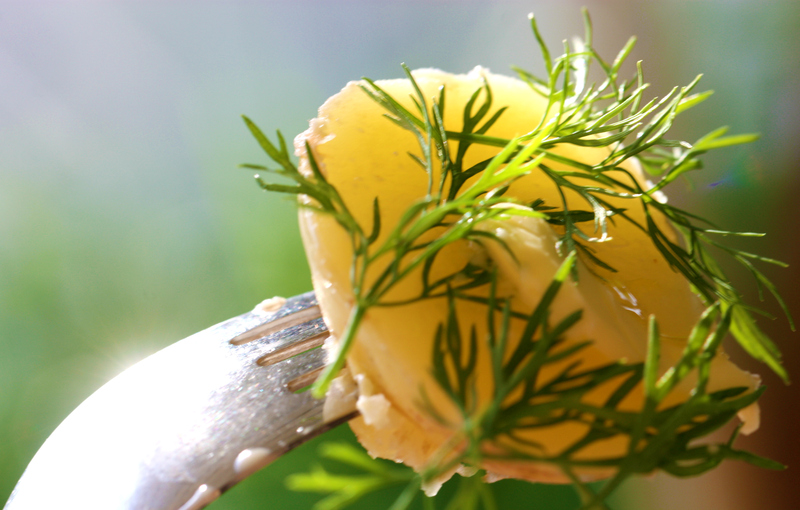 I love dill and often add this to my potatoes as well as salmon.